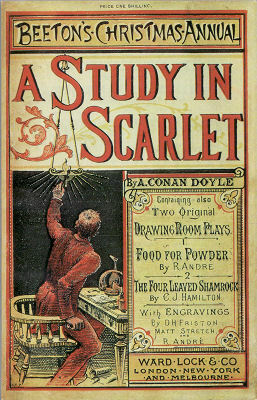 A Study in Scarlet (1887) marked the first appearance of Sherlock Holmes and John Watson, M.D. The character of Holmes was modeled after Joseph Bell, one of Doyle's university professors. Part II, The Country of the Saints, deals much with the Mormon Church, set in Utah.